Margaret Tomaso, 74, of the Lake Geneva Area died at The Gardens of Ridgestone in Elkhorn, Wisconsin. Born Margaret Ann Ralston to the late Edwin and Helen (Kozlik) Ralston on June 19, 1944, in Chicago, Illinois. Margaret was a member of the graduating class of 1963 from Madonna High School in Chicago, Illinois. After high school Margaret went on to earn a bachelor’s degree in Teaching from St. Xavier. On July 20, 1968, in Chicago, Illinois, Margaret was united in marriage to Anthony “Tony” Tomaso. Tony preceded Margaret in death on January 22, 2001. 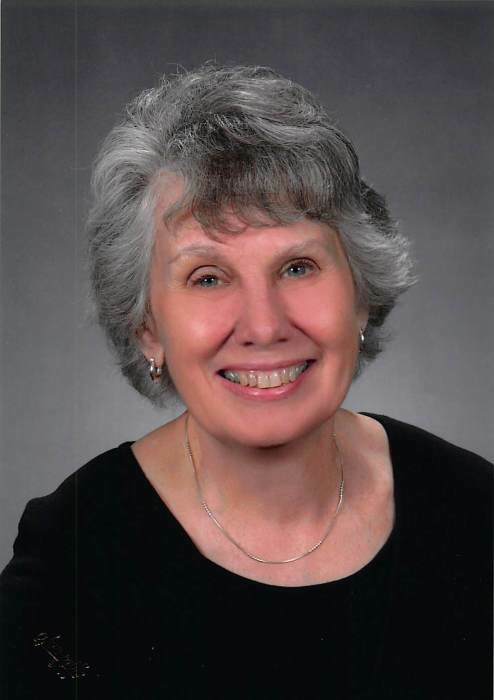 Margaret was an active member of St. Francis de Sales Catholic Church in Lake Geneva. Margaret was a member of the school board for St. Francis and was also a member of the Human Concern Committee at the church. Margaret was a member of the Women’s Golf League that was held at Hillmoor Country Club in Lake Geneva. Margaret and her husband Tony; along with their children were the owners/operators of the Next Door Pub from 1972 till 2005. 4 children: Margot (Michael) Hayes of Lake Geneva, Wisconsin, Amy (Brent) Amann of Elkhorn, Wisconsin, Anthony Jr. “T.J. “ (Michele) Tomaso of Elkhorn, Wisconsin, and Michael (Ashley) Tomaso of Green Bay, Wisconsin, all survive Margaret. 8 grandchildren: Austin and Marjorie Hayes; Emily, Joey, Manny, and Fayisa Amann, and Anthony III “Tre” and Abraham Tomaso all survive Margaret. Her husband of 33 years Tony and 1 brother John Czechanski preceded Margaret in death. Service for Margaret will be held on Saturday, December 8, 2018, at 12:30pm at St. Francis de Sales Catholic Church in Lake Geneva, Wisconsin: Father Mark Danczyk will be presiding. Burial will be at St. Killians Cemetery immediately following the service. Visitation for Margaret will be held on Saturday December 8, 2018, from the hours of 9:00am till 12:00pm in the main chapel of Derrick Funeral Home. In lieu of other expressions of sympathy the family has asked that you make a donation in Margaret's name to the St. Francis De Sales Angel Fund. A link has been provided below. When you get to St. Francis De Sales website please click the "Get Involved" tab and then click on "Donate online".